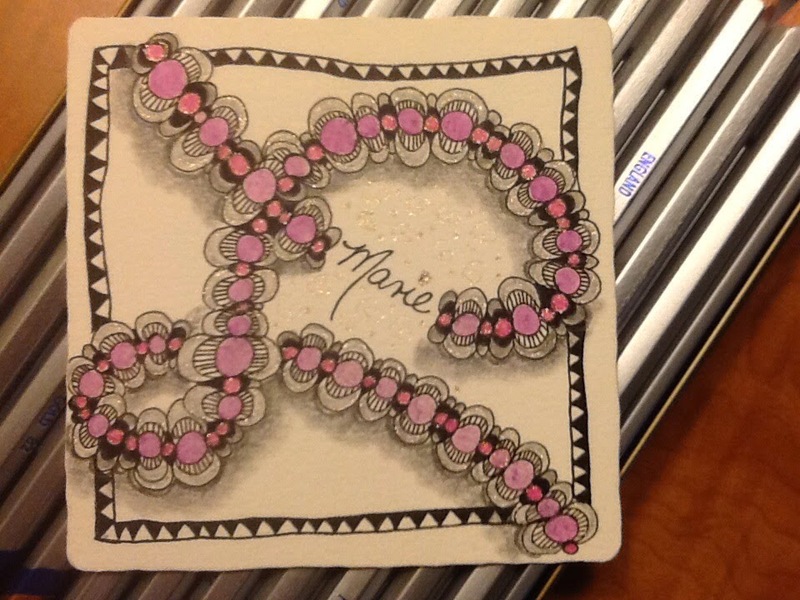 Diva Challenge #171 – Beads of Courage/Marie Strong! So…this post finds me in Central Florida (Sarasota) visiting my sister-in-law, Marie, on my way to CZT on Sunday. Laura’s challenge this week was almost fortuitous. Marie is dealing with a serious illness, and she is the strongest person I have ever met. Her attitude is so good. For everything she has been through, and is going through, she is always upbeat and positive. She loves her Red Sox (I’ll forgive her for that) and recently got to meet David Ortiz when they were here for Spring Training. So this week, I dedicate my “Beads of Courage” to Marie. 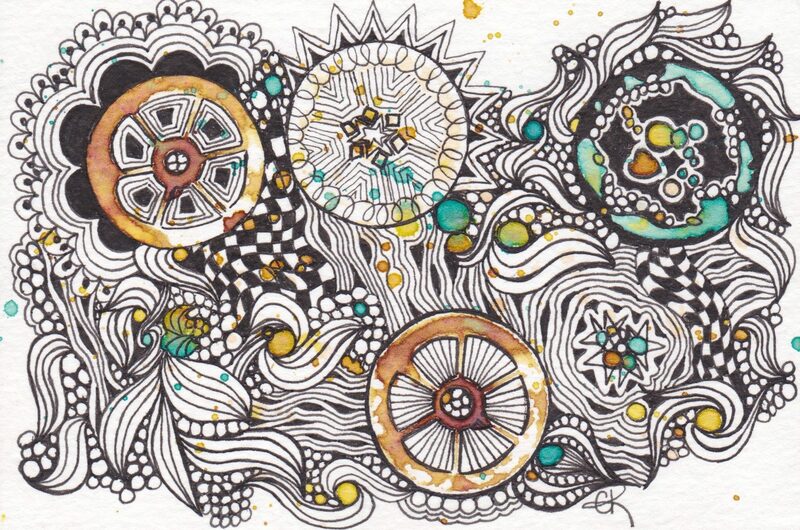 I used my Derwent Metallic pencils, and of course, the famous glitter pen. Next ›Diva #172…and a taste of CZT 14! My wishes are with Marie. A lovely tile too! Have a great time at training! You are going to love it! Beautiful tile and caring words. I'm a bit jealous that you will be a CZT now, if I had the courage to fly I would do it too. Have a GREAT time!! !